I decided to make stuffed chicken breast for lunch today. I didn’t feel like going to the grocery so I opted to use what I had on hand. 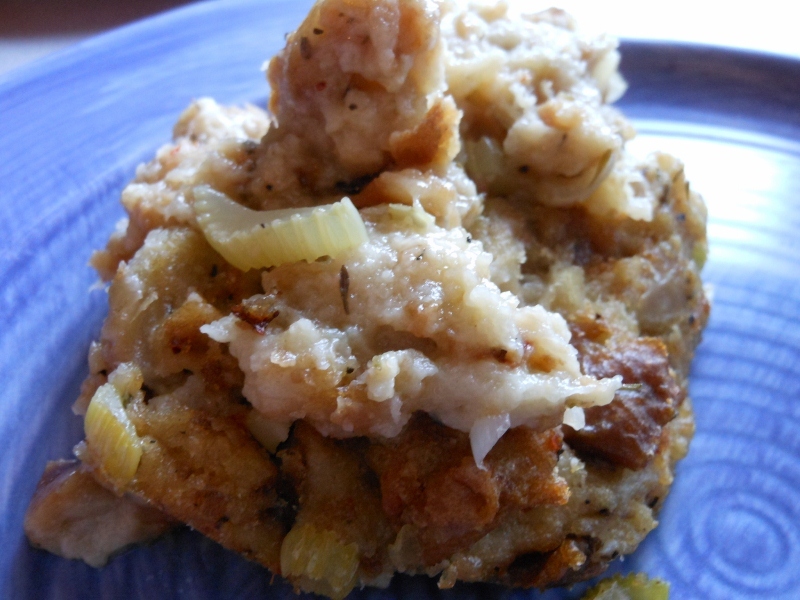 I went with a mushroom stuffing. I had picked up extra mushrooms when I was making the lamb and barley soup and knew they would come in handy soon. I prefer the cremini mushrooms over the white button mushrooms; but sliced button mushrooms were on sale this week and I love a bargain. My execution wasn’t perfect. I was a tad aggressive when flattening the chicken breast and I didn’t take the time to roll it perfectly and tie it closed; but the end result was delicious. Once smothered in sauce no one will ever know it wasn’t perfectly beautiful! Melt butter in medium skillet. Dice 1/2 cup of the mushroom and add to skillet. Stir in onion and garlic and sauté until tender. About 5 – 10 minutes. 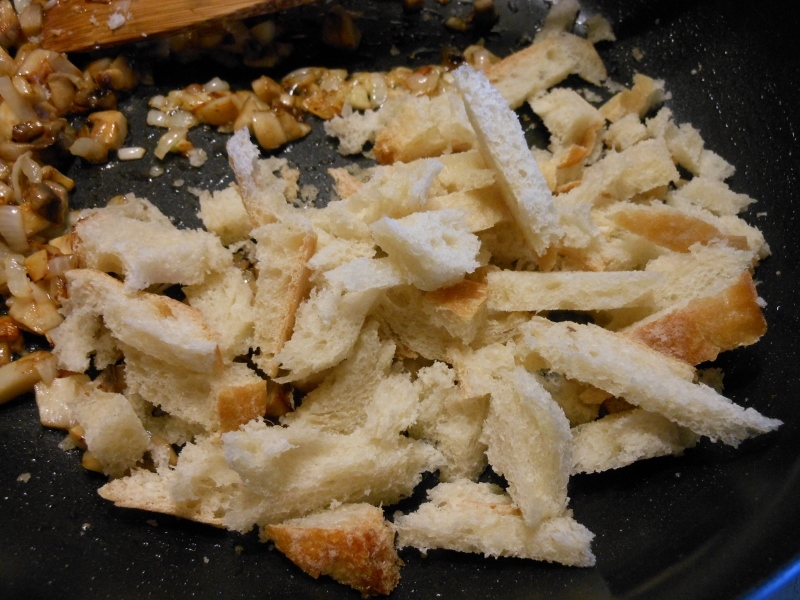 Remove from heat and stir in bread cubes and 1/2 cup of the chicken broth. Season with salt and pepper if desired. Allow to cool. 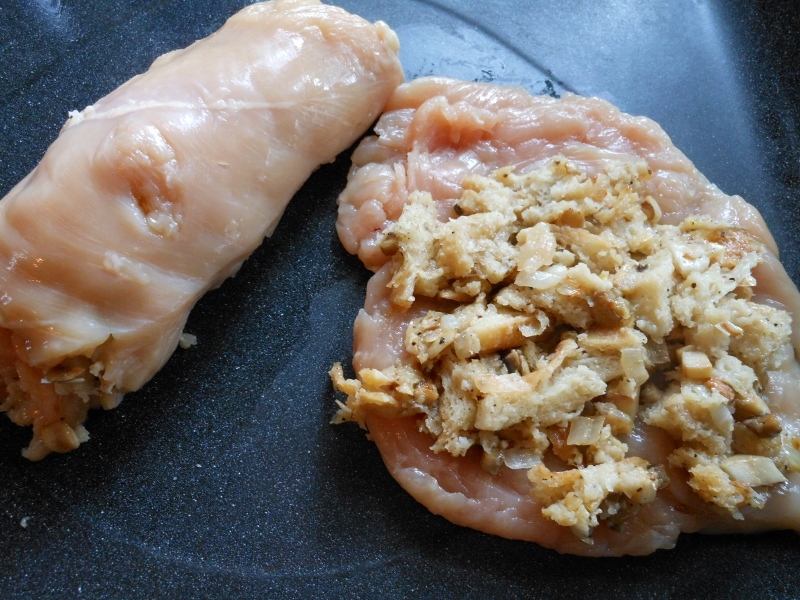 Meanwhile pound chicken breast flat with meat mallet or favorite implement (I use a flat-bottomed cup). 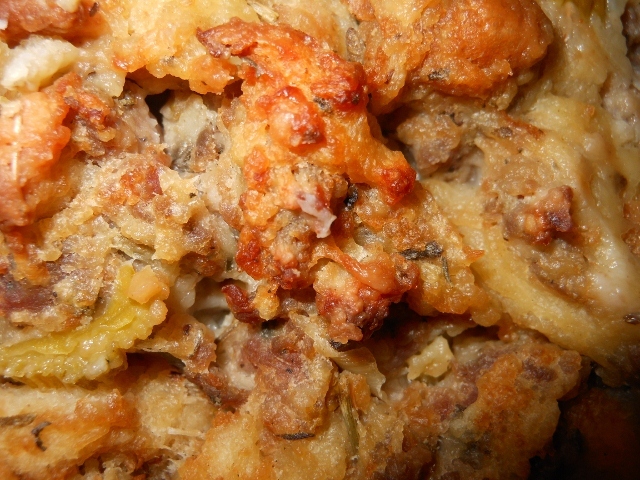 Divide stuffing between breasts and roll up. Secure with twine or toothpicks if desired. Add olive oil to skillet and sear 3 – 4 each side. 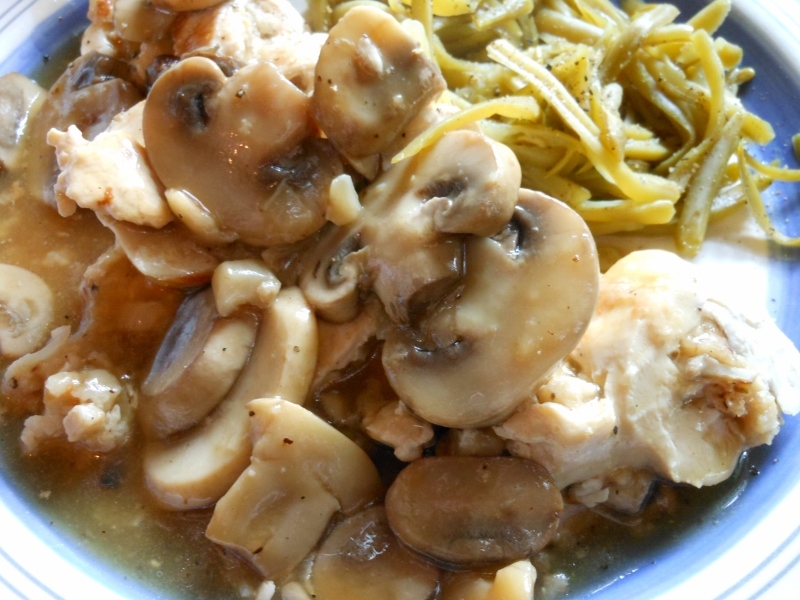 Add mushrooms and remaining chicken stock. Cover and simmer over medium low heat for about 15 minutes or until cooked through. 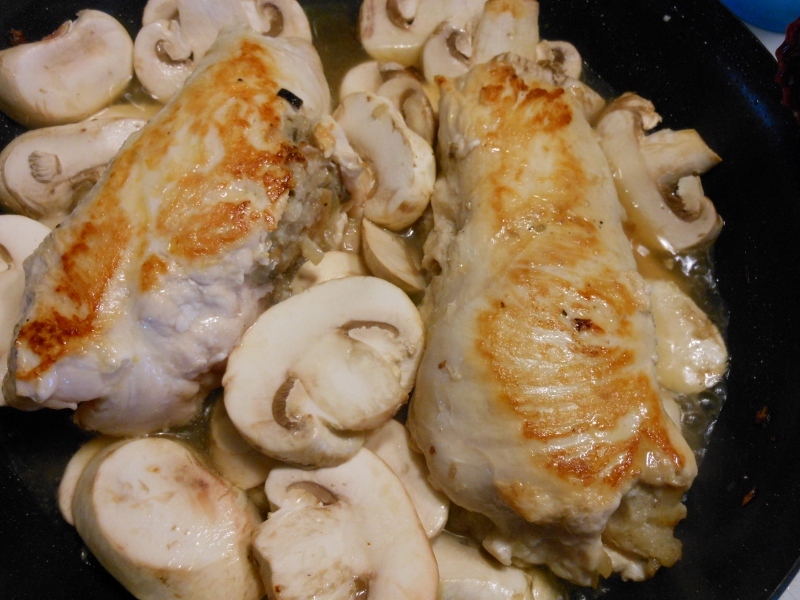 Remove chicken from skillet and allow to rest 4 – 5 minutes before slicing. 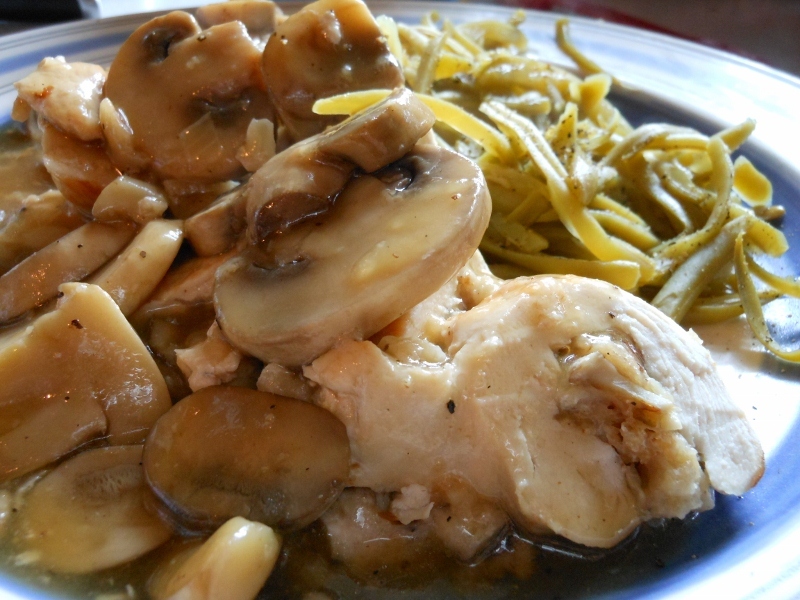 Mix together cornstarch and water; bring mushrooms and broth to boil; stir in cornstarch mixture until thickened. Slice chicken breast and pour sauce over top. My mom makes the best sausage and sage dressing every Thanksgiving. She doesn’t have a recipe she takes out and follows but it always comes out great; one of these days I’ll have to try to duplicate that. Charles and I make dressing often sometimes we use sausage other times we jazz it up with cranberries or raisins. Today I opted for a simple herb dressing with chicken stock. 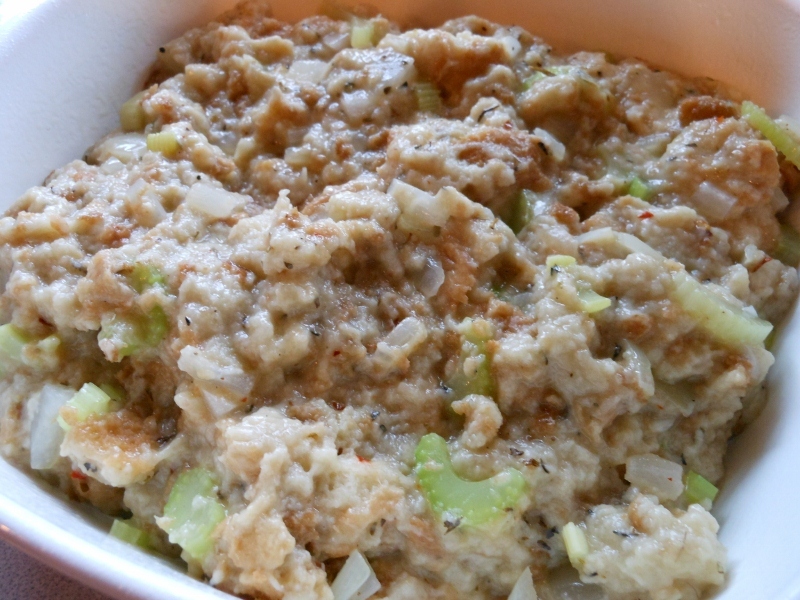 Finely dice onion and celery. 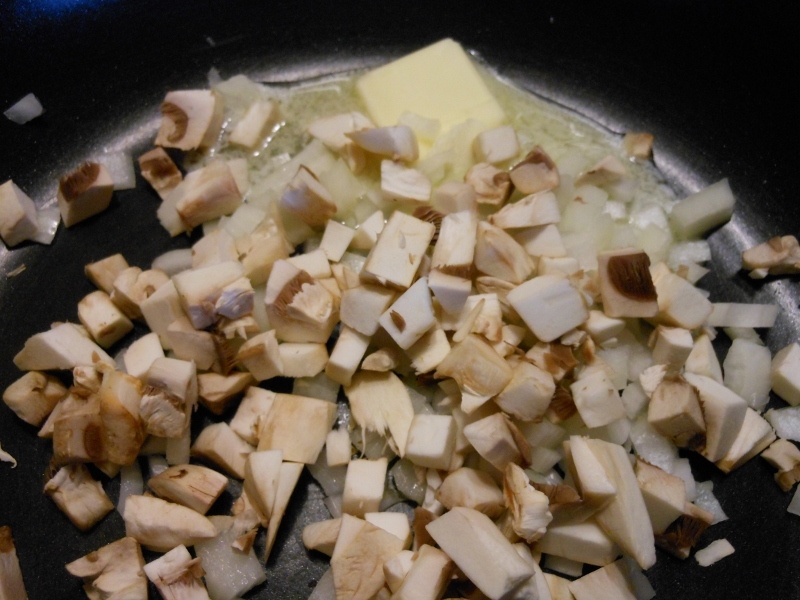 Over medium heat melt butter and sauté onion and celery for about 5 minutes. Add seasoning and chicken stock; stir together. Tear bread into medium bowl. Pour stock and vegetable mixture over bread. 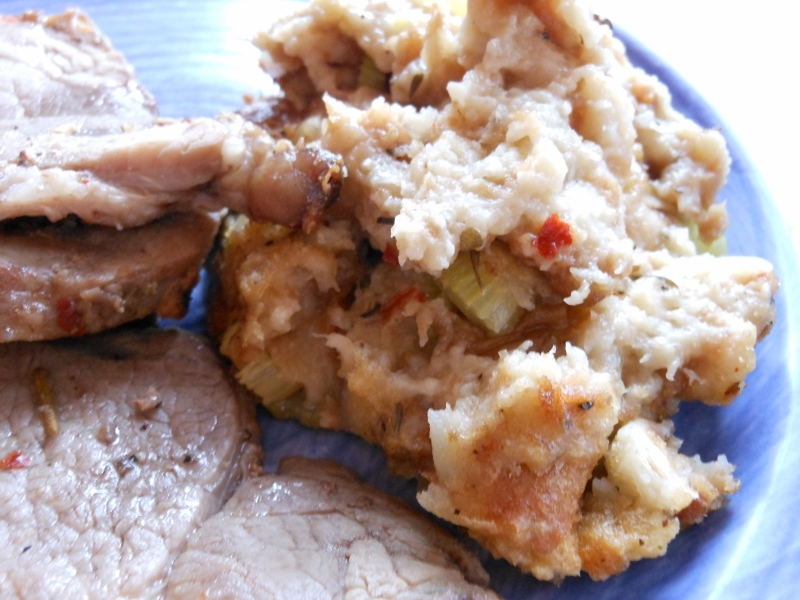 Stir thoroughly and pour into small casserole. Bake 30 – 40 minutes at 350 degrees.